Yo ho ho and a bottle of rum! Pirates: The Key of Dreams has made it across from Europe and is up for grabs today. Sadly it didn’t impress us so much as you can read in our review, but that’s not to say you might not get some enjoyment out this game even if it is a bit short-lived. 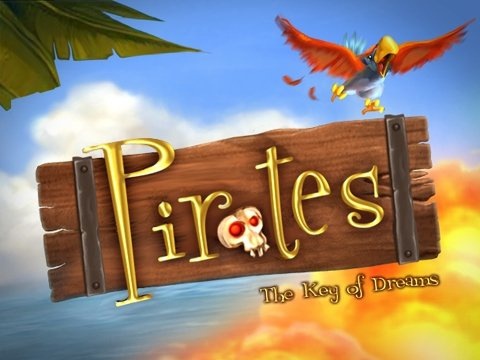 Pirates: The Key of Dreams (Oxygen Games, 1-4 players, Rated E for Everyone—Mild Violence, 1,000 Wii Points): Pirates: The Key of Dreams is a frantic nautical shoot-’em-up. Sail your way across the Caribbean, cannons blazing, looting booty, running blockades and ultimately battling Blackbeard himself. The player takes control of a navy captain sent deep undercover as a ruthless pirate in order to seek out and retrieve the Key of Dreams, a valuable and dangerous cursed artifact. Rescue castaways to bolster your ship’s crew, gaining performance increases to your navigation, weaponry, structural integrity and cartography skills. Collect increasingly powerful weaponry including rockets, mines, chain shot, saw blades and a flamethrower to hurl destruction into the path of your enemies. Play against three of your scurvy friends or A.I. opponents in pitched multiplayer battles over 35 levels, set in seven themed environments. Choose from different ship types that reflect your play style. Play in turbo mode if you're pirate enough. If this doesn’t interest you then you might want to know that the Virtual Console got two top quality Sega Genesis shoot-em-ups today in the shape of Super Fantasy Zone and Gley Lancer. If you like the genre, these are both worth a look especially as they never retailed in the USA previously. In upcoming weeks the following WiiWare games are coming up: Pong Toss (28th July), Strong Bad: Homestar Ruiner (28th July) and Plättchen - Twist 'n' Paint (4th August). Of course none of these dates are finalised 100% yet until the big N confirm for definite, but this is the latest information we currently have. No Plättchen... WHY NINTENDO? WHY??? NO!!!!!!!!!!!!!!!! i wanted Plattchan SOOOOOOOO BADDDD!!!!! An extra week won't hurt Plattchen and you get Strong Bad next week. Oh noez! Shovelware's gonna be piling over the next two weeks. But since it's Nintendo they'll leave out that pie(plättchen) for so long, we'll have had so many bad apptizers(shovelware) we'll riot when we get cold pie! CRAP, I wanted Strong Bad. Well, if we get Strongbad and Plattchen over the next 2 weeks, then that is acceptable. Cause I really want both. I forgot what I was looking forward too... Not this... Hmm... Nothing in the upcomings weeks either. Oh yeah. Super Mario RPG. And that's not even WiiWare. There is nothing that sparks any interest in me in the current future WiiWare lineup. nintendo you have screwed us again! Wherever I turn my head I just hear a lot of whining/bi***ing. You can't honestly tell me that you guys completely ran out of games to play. Heck, I'm not even close to catching up on my backlog of several dozen games, and that's from my Wii/VC/WiiWare library alone. Out of the upcoming WiiWare games, I'm definitely going to get Bomberman, Megaman, LostWinds 2, maybe Plattchen and maybe Tetris. Only Megaman 9 warrants immediate download though, maybe LostWinds2; will probably get the others when Nintendo gives us more storage space. well, it is nice to know we will get Plattchen soon. @Wii Ownz All - I'm surprised you can't find something to look forward to? My short list is Megaman 9, Gradius Rebirth, and Shante. I fully expect that all of those will be worth a download. So chin up, fellow. Not every week can see a blockbuster release. You just need to get used to doing a little cherry picking. I second you on both the bi*****g and the backlog. I have way too much on my plate right now. I want this game, but I can't get it right now, since I'm already working my way through 5 different games, plus more whenever I think of it. Hoo boy, definitely not a release I wanted. It's great to hear SBG4AP might come out next week though (don't even ask me how long it took me to remember how to write SBG4AP- I probably got it wrong anyway). I'm still not liking this one a week thing. I understand this ain't the VC and it's hard to get two out a week, but hey, I guess I had too high of expectations. I'll just file this comment under "whining." Edit: I was wrong about SBCG4AP...curse you strade!!!!!!!! It's not a demo, it's a prequel. Could this be the game that takes Star Soldier R's place? Sadly, it's got the word "Pirates" in the title, so no... If it had the word "Ninja" in the title, too, it'd be a top-seller, in fact! I thought Helix had a "June" date, and "Home Sweet Home" was expecting a launch "any week now" or some such... Much as I'd love to see SBCG4AC and Plattchen in the next two weeks, I'm not going to even think that the games even exist, it's just nowhere near even likely they'll come that quick. Virus- it's SBCG4AP. you forgot the C for Cool. I think that may be my fault, since I told everyone it was a demo, when it is, in fact, a prequel. And yes, I am most certainly satisfied with this week's releases, on both the Wiiware and the Virtual Console side of things. I'm not sure though, if I should get this and Super Fantasy Zone(once I have the time, of course) or if I should hold this off for even longer, since I was intending on getting Breath of Fire II with my next VC purchase. I have plenty of time to think about it thankfully, but the matter is still perplexing. Oh well, I guess I should just go back to my daily routine, posting in forums, browsing through the Penny Arcade archives, and playing Mario & Luigi, Shadow of the Colossus, and Oni. @pegasus. I understand. I complained a few times, but I take what I can get. Plus, with crappy releases for a week, that gives me some time to catch up on the tons of VC/wiiware games I haven't downloaded yet. I might get this game, despite the Mediocre review. It looks mildly enjoyable, but also a bit repetitive. So far no Wii Ware purchases. There seems to be a big release of shovelware lately. It isn't shovelware in WiiWare World to them it's mediocre but it's their opinion not yours so don't let it put you off the game it's great but either way may just by me who enjoys this. Yeah we never said it was shovelware, just painfully average! Check out our scoring system if you want to know more about how we rate games we review.